When stress weighs on employees too long and heavily, the personal and professional costs add up. To avoid this, great leaders and managers must set healthy examples of avoiding burnout while also creating options for employee stress relief. If not, the stress-induced problems will rear up. In major cities like L.A. and New York, the correlation between job stress and heart attacks is so well-known that any police officer who has a coronary issue on or off the job is presumed to have a work-related injury. That’s not just limited to the law enforcement field, either. 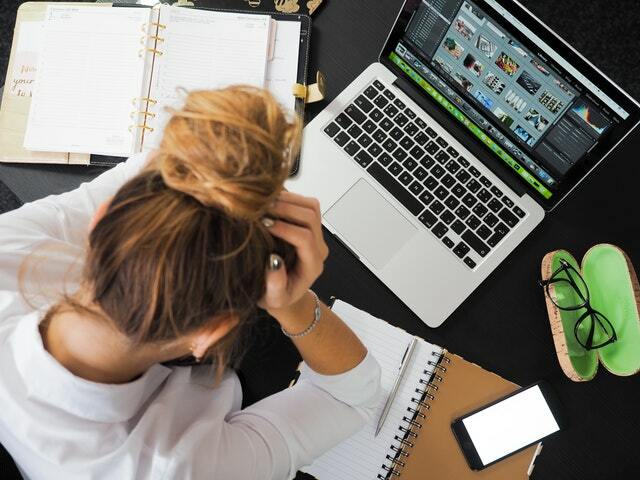 Research by the American Psychological Association found loss of mental energy and high blood pressure were two major health concerns of stressed workers. In short, the cost is huge. With work comes stress. No matter how dedicated employees are to a company mission, or how close colleagues are, employees will face stress. Helping them handle it in a healthy way on a regular basis is the key to keeping them from burning out. Let employees bond over altruistic work. Set up optional volunteer days where the entire staff can gather in the community to give back. Soup kitchens, roadside cleanups, and clothing drives are relatively easy gatherings to organize. Let employees know they are more than just a worker, but a valued human being, too. If an employee is out on an extended illness, simple gestures like sending a card or setting up a meal train can boost their spirits. Someone having a really bad day? Send them home early with no expectations. Little gestures of kindness let employees know the company is run by humans, too. Sometimes figuring out life and work duties becomes a true balancing act. If employees are having a tough time at home — whether it’s a sick child or elderly parent — showing them grace with flexibility can reduce their worries. When possible, let struggling employees work remotely and check-in via email, Google Hangouts, or even FaceTime. It gives them permission to handle life while still producing quality work. There’s a reason dogs are often the number one choice as therapy animals. Aside from being adorable, dogs have an underlying talent of reducing cortisol levels (also known as the stress hormone), according to one Virginia Commonwealth University study. If allergies aren’t a concern for colleagues, consider having a dog-friendly office to boost morale. The five strategies above are a sampling of ways your business can help employees feel less stress and more job satisfaction. But even the most innovative stress-relief options will fail if it doesn’t match what employees really find soothing. Dig into the root of stressful issues, and take group and individual feedback seriously — doing so gives employees a sense of control that they can change their stressful environment. Even with limited resources, as a leader, it’s important to find a few ways to help employees de-stress. If employees are running on “E” when making business decisions, their work is going to be subpar at best. Regularly take pulse surveys to get team feedback on how things are going for employees. Then, take steps to offer proper support for better teamwork, engagement, and happier employees. How do you encourage employees to reduce their stress? Share your thoughts in the comments below! We'd love your opinion of our blog - take a quick survey here.